This carpet deodoriser uses only two ingredients and it's amazingly effective! I made this carpet deodoriser for my first apartment years and year ago and I'm so happy I remembered it. Back then my carpets had a really musty smell (probably from water damage that wasn't fixed) and it even got rid of that! I haven't had carpets in over ten years, and I'm pretty bummed with how different everything smells with carpet. Hardwood floors and a big stinky dog are no problem, but carpets definitely are. I'm also convinced the carpets are soaking up all the smells from me cooking constantly. But this carpet deodoriser takes quick care of it! I'm so much happier after using this carpet deodorise all over the house. Everything smells nice and fresh again! If you have any spice jars around with big holes in the cap, those work great! Those metal and glass shakers you always see in pizza places work too. I'm using a mason jar and making my own shaker lid for it - if you choose to do that just make sure you use a piece of card stock or thin cardboard, otherwise it will be too flimsy. 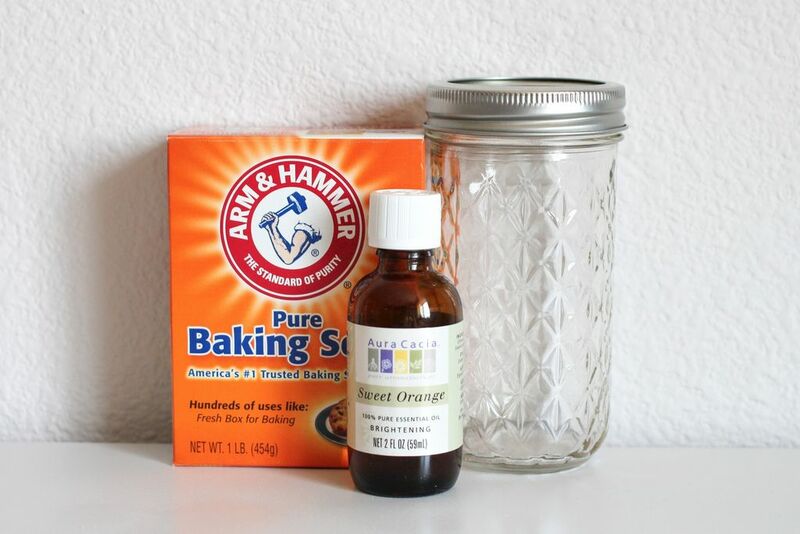 Pour the baking soda into the container you're using. Add the essential oils to the top - if you're using something like rosemary, tea tree or peppermint, I suggest starting with 20 drops. Other essential oils like lavender and citrus can use a little more - I used 30 drops in my carpet deodorizer. 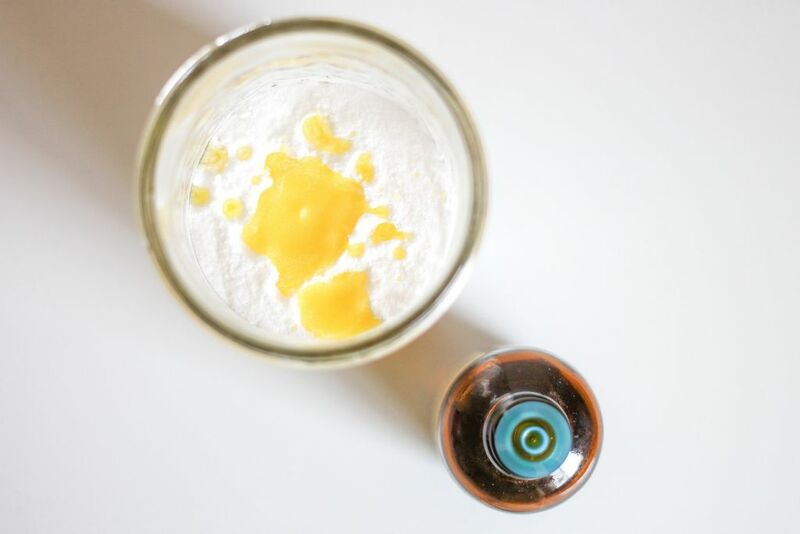 Once the oils are in, close up the container and shake it for a minute or so, until the essential oil is nicely combined with the baking soda. Give it a smell - if you can really smell the essential oils you're ready to go! If not, add more and shake again. 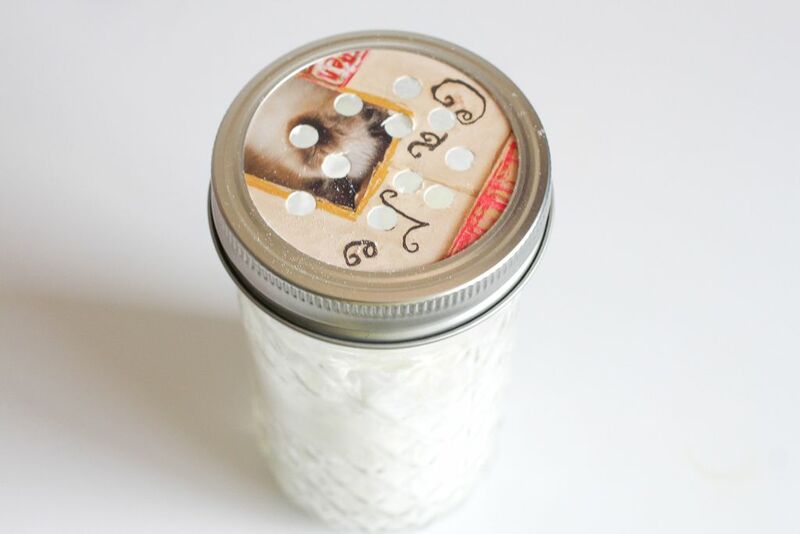 If you're using a mason jar like me, you'll need to make a shaker top. To do this, use the inner seal and trace around it on some card stock. Cut it out and punch holes and you're good to go! I used a hole punch to make my holes - I originally tried using a nail but the holes just weren't big enough. This recipe should be enough to do three bedrooms at least! I was able to deodorise two large bedrooms, one small bedroom, and two rugs. To use the carpet deodorizer, shake a light layer all over the carpet and let it sit for 20 minutes or so - for really stinky carpets you can let it go longer. Then just vacuum it up and enjoy fresh smelling carpets! The essential oil smell will not stick around for more than a day or so, but your carpets will still smell so much nicer even after it goes away. If you're using a mason jar like me, you can just insert the metal lid under the cardboard one to store it. Don't sprinkle this on the carpet and leave it where pets and children can get to it. It can be irritating to sensitive skin, and you don't want anyone eating some of it. Cats and babies are especially sensitive to essential oils. I like to sprinkle it in all the bedrooms and shut the doors. Once I come back and vacuum it up, I put all the pets in one bedroom and do the rest of the house. That way no one has any alone time with it. I've used lavender, peppermint, tea tree and sweet orange. Not all together of course, but during different cleanings. However, I don't recommend clove or cinnamon. When I've used those oils in other things my cats sniff whatever it is and then get the hell out. They are not fans of that. TRY THIS NEXT: Make your own preserved lemons!